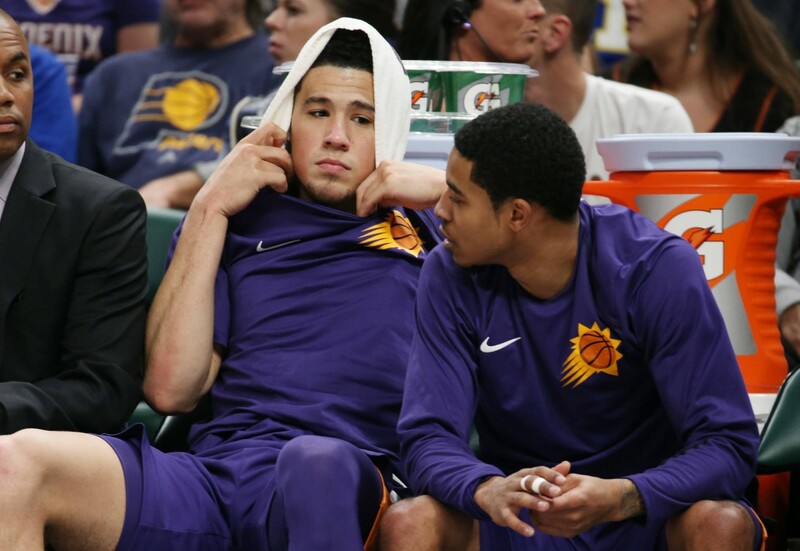 Star guard Devin Booker is reportedly 'upset' with the team over the release of point guard and friend Tyler Ulis. Like most professional sports, the NBA is tough league full of tough business decisions. On Sunday, the Phoenix Suns made the difficult decision to waive Tyler Ulis and make him a free agent. Prior to the Ulis' release, the Suns signed veteran forward Trevor Ariza to a one-year deal. As reported by both Yahoo Sports' Shams Charania and AZCentral.com writer Scott Bordow, Booker was upset with how the Suns handled the release of point guard and friend Ulis. Booker and Ulis’ friendship dates back to middle school, when the two competed in AAU basketball. The two players would both land at Kentucky, where they played together for one season before Booker was drafted 13th overall by the Suns in the 2015 NBA Draft. Just a year later, Phoenix drafted Ulis 34th overall. Ulis played in 132 games, making 58 starts for Phoenix over the course of his two seasons. He averaged 7.6 points, 4.1 assists and 1.7 rebounds during his stint with the team. After a standout end to the season in his rookie year, he had high expectations for his second season and failed to meet them. His shooting percentage dropped from 42.1 percent to 38.8 percent. With free agency just starting, it shouldn't take long for Ulis to find work. There are plenty of teams around the league that could use his skill set on their team. As of the Suns, they will look to add more free agents while trying to sign Booker long term. Booker is eligible for a maximum extension, which could be worth upwards of $150 million for five years.